Is Carbon Monoxide Leaking If the Pilot Light Is Out? 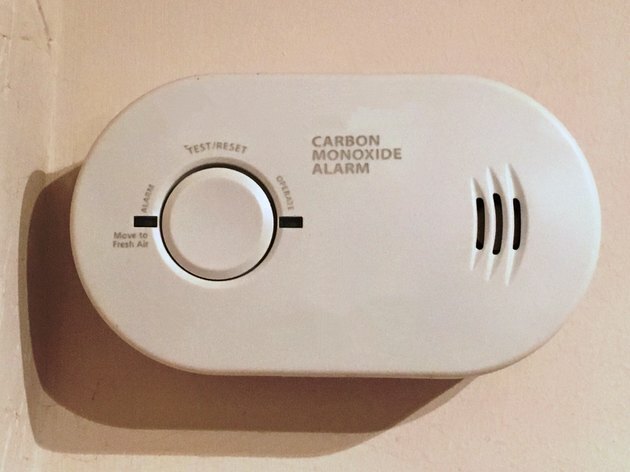 Approximately 200 people die from carbon monoxide poisoning every year, according to the Consumer Products Safety Commission, and another 5,000 people are injured. Carbon monoxide is a colorless, odorless gas produced during burning fuel. It doesn't leak from a pilot light that's gone out, but if the light keeps going out even after you relight the pilot, it can indicate that you have other problems. The pilot light is a small gas flame that stays lit all the time. This flame ignites the natural gas or propane fuel that operates the appliance when it's turned on. A flame sensor, or thermocouple, is responsible for determining whether the pilot light is on or not. Find this sensor near the tip of the pilot flame. When the thermocouple senses a lit pilot, it leaves the main gas valve open. If the pilot light is out, or isn't burning hot enough, it closes the valve, cutting off gas flow so it won't build up inside your house. The flame on a pilot light should be bright blue or bluish-green with a small yellow spot at the tip. It also should be strong enough to reach the tip of the thermocouple, located about 1/2 an inch away from the tip of the flame. Yellow, weak-looking flames indicate a problem, and can mean the production of carbon monoxide. Yellow flames result when there's not enough oxygen to completely burn the fuel. This can mean that the pilot tube tip is dirty. Dirty pilot tubes can also result in a split flame. Use a needle or a piece of thin wire to clean the tube, but turn off the gas and circuit breaker first. Sometimes pilot lights go out because the flame is set too low. The owner's manual provides information for adjusting the flame. Other problems like low gas pressure, a loose or faulty thermocouple or a gas control valve that's not working right can also cause the pilot light to keep going out. Call a service technician to repair these problems. Even though carbon monoxide doesn't leak from pilot lights that are out, natural gas does. This gas, which consists mostly of methane, along with ethane, propane and some other gases, decreases the amount of oxygen in your blood when you breathe it. Symptoms of natural gas sickness caused by exposure are the same as for carbon monoxide poisoning and include headache, drowsiness, nausea, dizziness and shortness of breath. In severe cases, it will cause vomiting, confusion, coma, seizures and death. Like carbon monoxide, natural gas is invisible and odorless, but gas companies add a chemical to it that makes it smell like rotten eggs, to make it easier to detect.